The ColdGear Rut Jacket with UA Storm gear uses a DWR finish to repel water without sacrificing breathability. Quiet construction prevents fabric from rustling, helping you stay silent. A bonded 2-layer fleece traps warmth for extreme cold. ColdGear Infrared technology uses a soft, thermo-conductive inner coating to absorb and retains your own body heat. Anti-Odor technology prevents the growth of odor causing microbes. Harness compatible design to keep you safe in the treestand. 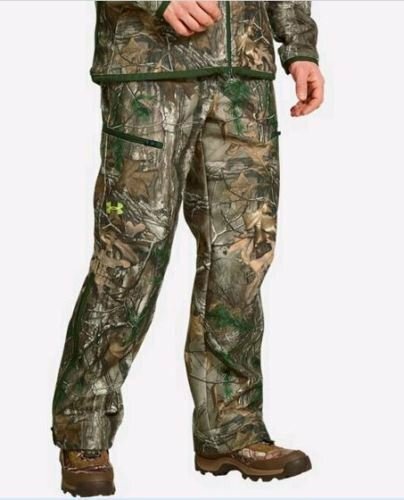 The Rut jacket kept bow hunters in mind with volume reducing sleeves that tighten up to stay clear of bow strings.